People of all ages with a variety of foot or lower leg problems wear orthoses. Sportspeople are often prescribed orthoses by their podiatrist to help maximise their performance, as well as to address bio-mechanical problems. Anyone suffering from a chronic foot or lower limb condition which is limiting their mobility or independence may benefit from wearing orthoses. Orthoses provide valuable long-term solutions in the treatment and prevention of corns, callus and ulceration by redistributing the pressure of the body’s weight on the feet. 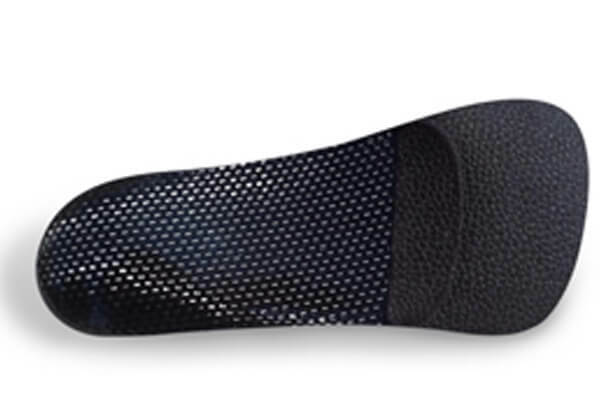 Orthoses also help with rehabilitation of acute and chronic foot conditions such as tendonitis, recurrent ankle sprains and stress fractures, by providing consistent postural control. At AC Podiatry we pride ourselves on the quality of our orthoses. Each pair of custom made devices is hand-made and finished to the highest standard. We take a functional approach to orthoses which means no hard, thick plastic or EVA orthoses “blocking” movement, but rather thinner more flexible co-polymer, carbon fibre and tri-laminate orthoses which aim to facilitate more efficient movement and pressure relief.